Press pause on all your plans for pumpkin baked goods and listen up: the fall staple—which usually rules your latte preference—can be added into your beauty routine, too. This shouldn’t be that much of a surprise, given the fact that many skin care brands have already added it into their formulas. ExfoliKate Body Intensive Exfoliating Treatment ($65, sephora.com) and the Peter Thomas Roth Enzyme Mask ($58, sephora.com) both call out pumpkin’s power enzymes that clear dead skin cells and promote radiant skin. And apparently, the tasty trendy ingredient makes for an amazing at-home pedicure, too. The foot scrub DIY comes by the way of celebrity manicurist and owner of As U Wish Nail Salon, Skyy Hadley, who whipped up the seasonal recipe. You only need a few ingredients to make it, most of which you probably already have on your pantry shelf. 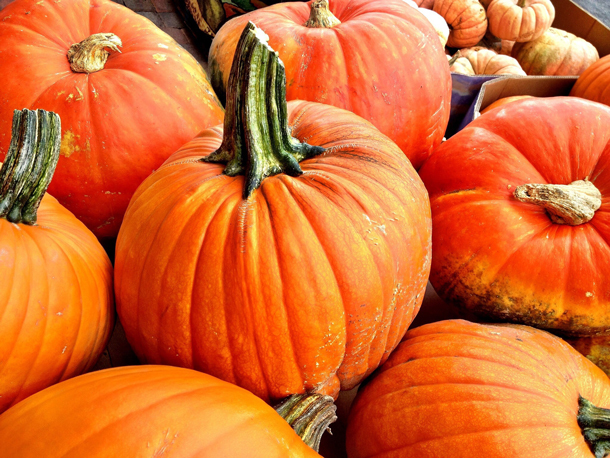 Moisturizing olive oil, soothing yogurt, and exfoliating sugar all make the list, and of course, a pumpkin puree, which Hadley says is rich in vitamins, nutrients, and enzymes to soothe and brighten the tough skin on your feet. Directions: Start by mixing pureed pumpkin in a bowl. Next, stir in the yogurt, honey, sugar, and olive oil. To begin your at-home pedicure, Hadley says to wash your feet in warm water, and while your feet are moist, apply the scrub in a circular motion on each foot for about 10 minutes. After the time is up, Hadley says to remove the scrub with warm water and a washcloth. Your feet will be soft, exfoliated and lovely looking! We don’t know about you, but that sounds like the perfect way to spend an Autumn afternoon—definitely a DIY to try immediately!